Welcome to Parti Yorkie Pets! 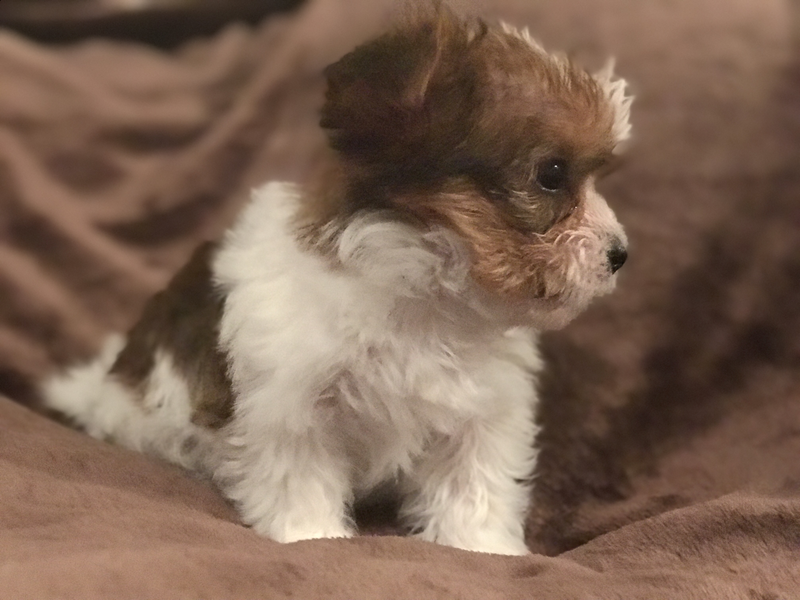 We have some of the best bred Parti Yorkie puppies for sale in the country who have been loved and raised by a family who prepared them just for you. These Parti Yorkie puppies for sale are available throughout the year. Have you seen our Parti Princesses? Aren’t they beautiful? Did you know that the parti color of Yorkshire Terrier is rare? It took 42 parti colored litters that were DNA tested to be determined 100% Yorkshire Terriers by the AKC in 2000. The demand is high, the color is amazingly beautiful, and the puppies are rare. Parti Yorkie Pets specializes in Parti Yorkie puppies that are AKC registered, Sire DNA'd, and come from some of the best bloodlines in the country. Our puppies are bred with the highest standards to ensure healthy, beautiful puppies. Our puppies are raised and spoiled in a family home to ensure proper socialization. Your puppy's transition to its forever home will be smooth because of the love they have received with their first family. All of our puppies come with a 1 Year Puppy Health Guarantee, current vaccinations, a puppy pack, and a small supply of food. If you want to give a Parti Yorkie puppy a forever home, contact us today! We can’t wait to introduce you to your new best friend! · Check out our "Parti Adults Available" page to see if we have Adult Parti Yorkies for sale! · We are located in Alpine, UT, but can deliver or ship to major airports. Don’t be surprised if you call us for another Parti Yorkie Puppy later. You won’t be the first or the last one to want another puppy. We love to stay in touch with our families and we are here for the long haul for all of your questions and needs.